Apparently I need to start checking my FaceBook feed more often, because this morning I got all excited about a competition to win tickets to this weekend’s London Film and Comic Con, with entry to a special screening of an episode of Game of Thrones, featuring live commentary by several cast members… only to check the rules, and realise that the window for entries closed last night! DAMMIT!! In case anyone’s curious, notable actresses appearing at the event include Carrie Fisher (Star Wars, 30 Rock), Helen Slater (Supergirl), Sherilyn Fenn (Twin Peaks), Juliet Landau (Buffy, Ed Wood), plus Lena Headey, Natalie Dormer, and Ellie Kendrick from GoT. 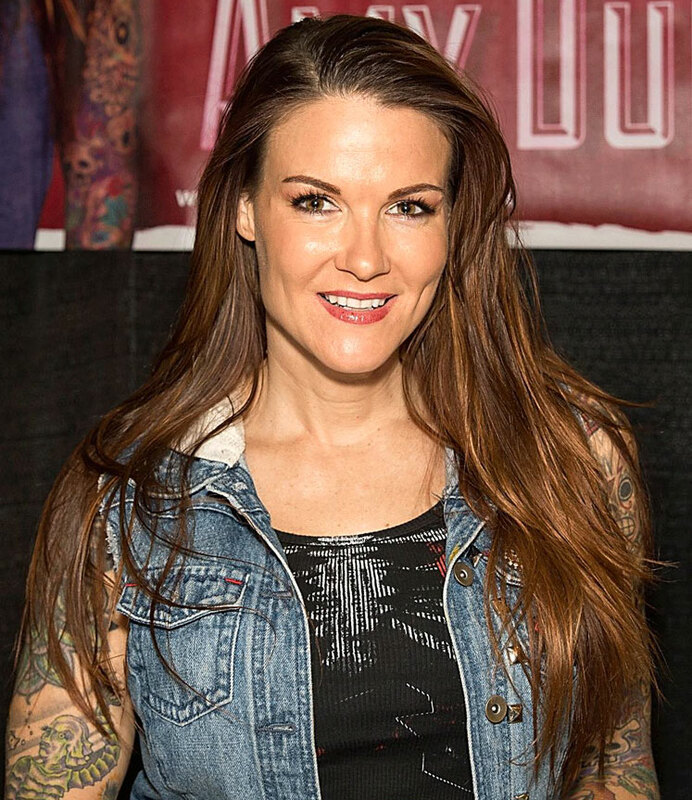 Weirdly though, the name I was most excited about was Amy Dumas, aka “Lita” of WWF/WWE Diva fame! I kinda lost interest after Ch4 stopped broadcasting Heat on Sunday afternoons, but since then Dumas has written a best-selling memoir, been inducted into the wrestling Hall of Fame, and also forged a new career as the lead singer of a punk rock group called The Luchagors, whose awesome self-titled album is blasting through my speakers even as I type this! Sadly, checking their FB page this morning, I discovered that they’re playing their “last show ever” at the end of the month (in Atlanta)… so it looks like I’m missing out on all kinds of fun this summer! This entry was posted in Rants about Music, Rants about TV and tagged Amy Dumas, Carrie Fisher, Diva, Ellie Kendrick, Game of Thrones, Helen Slater, Juliet Landau, Lena Headey, Lita, London Film and Comic Con, Luchagors, Natalie Dormer, Sherilyn Fenn, WWE, WWF. Bookmark the permalink.